(OCCRP) — Mexico witnessed a record-breaking number of homicides and murder investigations in May, according to government data. Last month, 2,186 murders were committed surpassing 2011’s record, statistics that go back two decades show. The number of murder investigations also peaked in May dating back to 1997. Several probes likely include multiple homicides. “Pretty grim. Not shocking, because we’ve seen this for months,” Mexican security analyst Alejandro Hope said. Mexico recorded 9,916 murders since the beginning of 2017, roughly a 30% increase over the same period last year, underscoring the country’s struggle to deal with escalating organized crime groups. The deadliest state was Guerrero, in the south, a hotbed for Mexico’s war on drugs where 216 people were killed. In the western state of Sinaloa 154 people were killed – the highest number in six years -due to violence driven by rival groups vying to fill the void left by the arrest and extradition of drug kingpin Joaquin “El Chapo” Guzman. 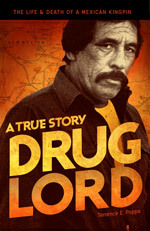 Mexico launched a militarized offensive to fight drug trafficking in 2006. Since then, over 200,000 people have been presumed dead or missing as rival cartels wage war on each other and the army. The country’s escalating violence has hit journalists especially hard claiming most recently the life of well-respected drug trafficking reporter, Javier Valdez Cardenas. The ensuing conflict has further damaged President Enrique Pena Nieto’s popularity.